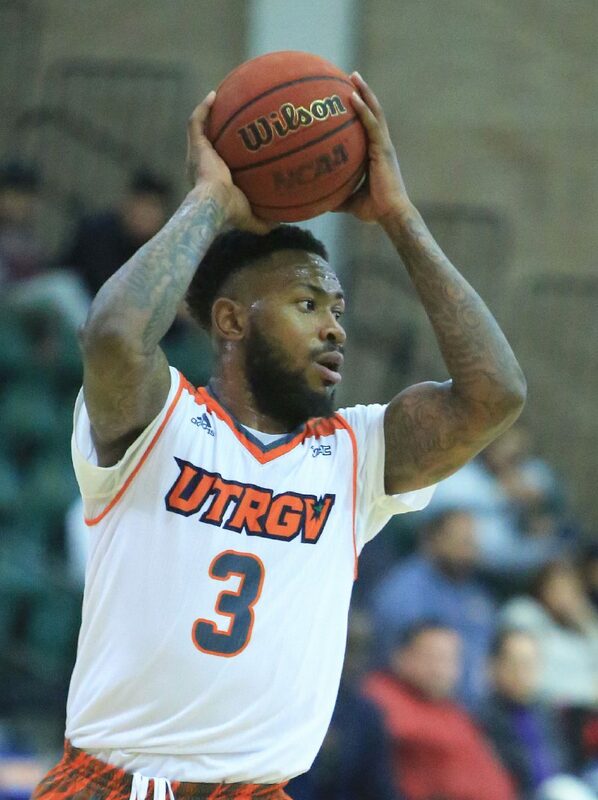 EDINBURG — With 12 games remaining on the regular-season schedule, the UTRGV men’s basketball team has already matched its best win total since 2013. At 10-9 on the year, UTRGV holds a winning record past the season’s midpoint for the first time since the 2012-13 campaign, when the team finished 16-16. Winn has given UTRGV a lift since gaining his eligibility prior to the team’s game against Oklahoma State on Dec. 22, providing another boost to what was already a promising season. During the second year under coach Lew Hill, UTRGV has been using its up-tempo style, deep bench and pressing defense to post efficiency numbers not seen from the program in many years. After a 2-1 road trip to open WAC play, UTRGV is set for a significant home test when it hosts Utah Valley (14-5, 3-0 WAC) at 7 p.m. Thursday in the UTRGV Fieldhouse. University of Texas Rio Grande Valley's Nick Dixon (4) advances the ball against Our Lady of the Lake in a nonconference game at the UTRGV Fieldhouse Tuesday, Jan 2, 2018, in Edinburg. University of Texas Rio Grande Valley's Terry Winn (3) passes the ball against Our Lady of the Lake in a nonconference game at the UTRGV Fieldhouse Tuesday, Jan 2, 2018, in Edinburg. Entering Thursday’s game, UTRGV ranks No. 215 out of 351 Division I teams in the season-long efficiency ratings produced by popular advanced statistics website KenPom.com. That ranking is UTRGV’s best at any point in a season since at least 2008, when the program finished the year ranked No. 244. The last time the program finished a season ranked better than the current No. 215 rating was 2001-02, when Texas Pan American ranked No. 167. The Vaqueros have largely matched the blueprint Hill outlined when he came to the program prior to last season, employing a fast, attacking style. UTRGV ranks ninth nationally in tempo and has forced turnovers on 21.0 percent of opponents’ possessions, ranking 66th. To sustain that pace, UTRGV has played with a rotation as large as 12 players and ranks fourth nationally in bench minutes at 44.8 percent. The stat is defined as the percentage of minutes filled by players who do not rank in the team’s top five in minutes played. Hill has regularly called UTRGV the best-conditioned team in college basketball. While many coaches look to utilize a tighter rotation as the season goes on, Hill said he has no intention of straying from his formula. As a product of the deep rotation and frenetic pace of play, UTRGV has thrived in the fourth quarter. 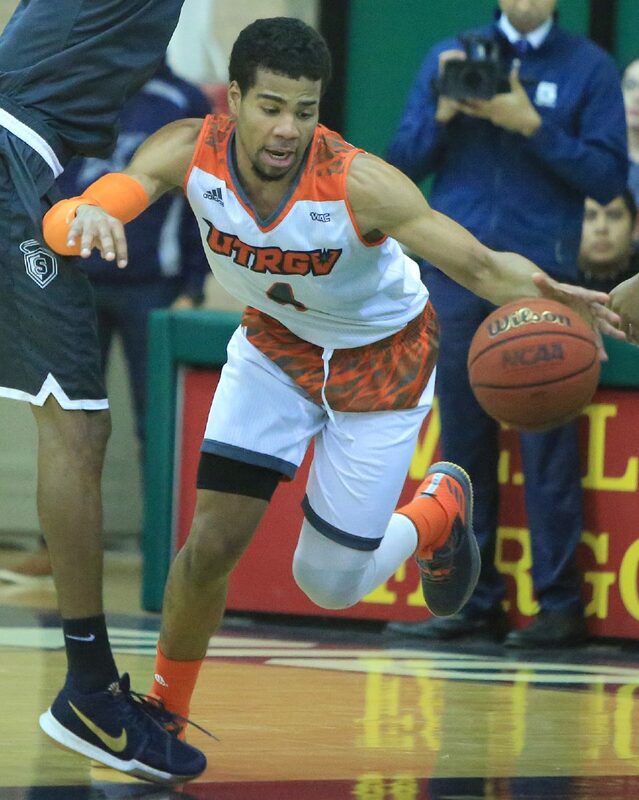 During its past five games against Division I teams, UTRGV is outscoring its opponents by an average margin of 28-19 during the final 10 minutes. During the first 30 minutes of those same five games, UTRGV is being outscored by an average 59-50.8. Winn said UTRGV can visibly see opponents showing signs of fatigue as games wear on. He also sees himself getting back to full strength, saying that the game is “slowing down” with more time on the court. Winn sat out the majority of the 2017 calendar year due to NCAA transfer regulations and missed a chunk of that practice time recovering from a knee injury. He played limited minutes in his first two games with UTRGV but has averaged 10.0 points and 6.8 rebounds per game in four starts. Hill said Winn has been progressing “beautifully,” and Winn believes his biggest contribution may not show in the box score. The only regular rotation player still unavailable to UTRGV is Jordan Jackson, who has not played since Nov. 30 due to a groin injury. Jackson participated in full-speed five-on-five drills during Wednesday’s practice, but Hill said Jackson would not be available for Thursday’s game. Hill said he was unsure when Jackson would return to the lineup. “I’m just worried about the people that’s playing,” Hill said. Ndene Gueye, a junior transfer from St. Bonaventure, took part in UTRGV’s Wednesday practice. Gueye appeared in just five games during his first year at St. Bonaventure this season, scoring three points with five rebounds in 17 minutes. As a midseason transfer, Gueye will be eligible to play for UTRGV at the conclusion of the fall 2018 semester. Hill said UTRGV attempted to recruit Gueye out of Kilgore College, where he averaged 14.6 points and 8.4 rebounds per game last season.